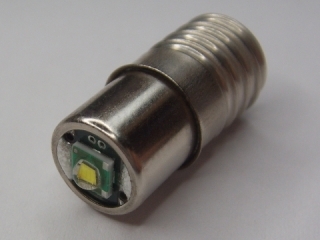 Do away with your old bike light and switch to LED technology! Thanks to our adaptable range of E10 and P13.5s light caps, our bike LEDs fit into nearly all conventional bike light sockets, making the transition to LED so much easier. 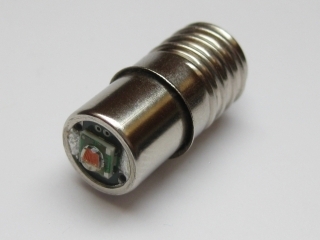 Our bike-LEDs are equipped with rectifiers and overvoltage protectors which are specifically adjusted to bike dynamos. We also provide red LED taillights so that you can enjoy allround visibility day and night. Super Bright Bicycle Tail Light LED with 45 Lumen. 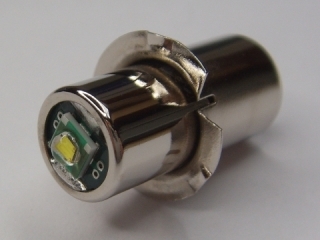 Burnt-out light bulbs no more: Replace your old tail-light bulb with our high-tech LED bulb. Super Bright Bicycle LED with 80 Lumen and E10 Thread Burnt-out light bulbs no more: Replace your old bike light bulb with our high-tech LED bulb. Super Bright Bicycle LED with 80 Lumen and Plug Base Thread Burnt-out light bulbs no more: Replace your old bike light bulb with our high-tech LED bulb.